This is the Alcorn County Courthouse, which was built in 1918. The style of the building is predominately Neoclassical. The low, wide windows of the attic story suggest Prairie School influences. The clocks that are embedded in the entablature, at the corners of the central block, and the bas-reliefs of Lady Justice suggest a Beaux-Arts influence. 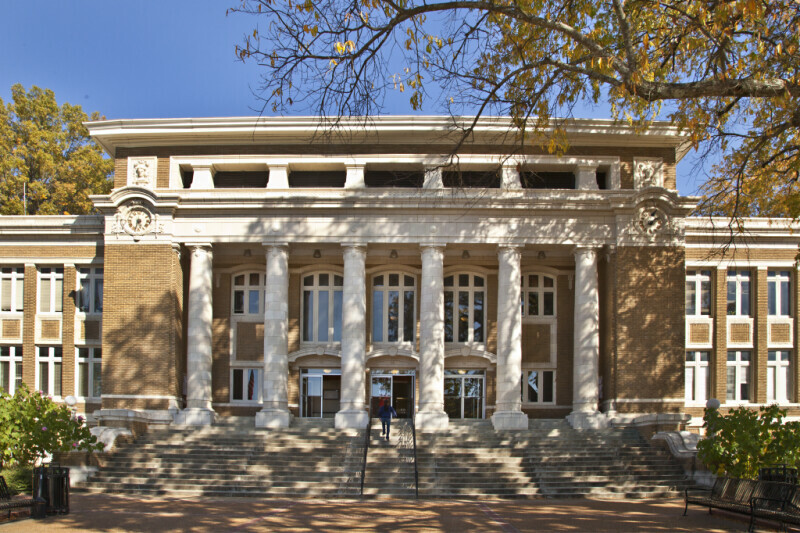 The building also incorporates Tuscan columns, with Doric capitals. This image shows the wide staircase leading to the building's main entrances.